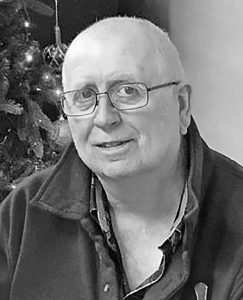 Harry Everhart, 71, of Crooks, formerly of Artesian, died Thursday, Jan. 31, 2019, at Dougherty Hospice House in Sioux Falls. Harry Lee Everhart was born Oct. 14, 1947, in Thomasville, N.C., to George and Vera (O’Neal) Everhart. He moved to South Dakota when he was 10 months old. He graduated from Fedora High School in 1965. He attended the University of South Dakota and later graduated from Huron College. He married Joyce Stegeman in 1973 at Wolsey. He was employed by Artesian Honey Producers and later became a high school math teacher. He spent many years participating in playing league horseshoes. He is survived by his wife of 45 years, Joyce of Crooks; three sons, Bryan of Crooks, David (Reannon) of Wichita, Kan., and Scott (Lindsey) of Telluride, Colo.; three grandchildren; two step-brothers, Don (Carrie) Crane and Larry Crane; a nephew and two nieces. He was preceded in death by his parents; his sister, Genice Everhart; and stepfather, Ken Crane.